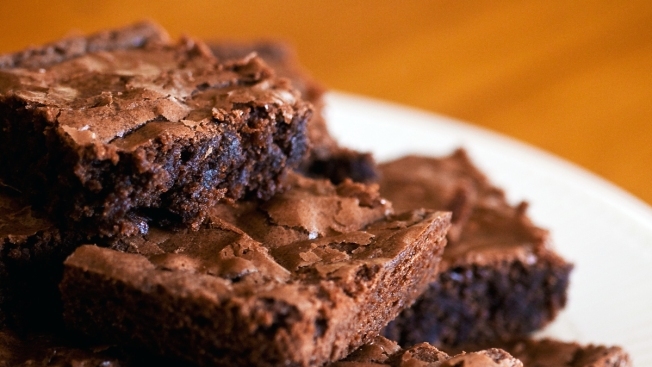 A file photo shows chocolate brownies on a plate. A Michigan engineering company employee has been fired after police determined she baked laxatives into brownies intended for a departing colleague's send-off. A daring burglar was caught on surveillance footage popping and locking after a successful break-in of a Fresno office. Police say suspect David Seale used copied keys to enter the building, coming in and out ten to 15 times to steal a laptop and cash.